Instead, I came to a much more fun idea. As you may know from other posts, my favorite part of writing is developing a unique, beautiful, intricate fantasy world. Character and plot always come second for me. However, I am not a very visual person. If I want to see an image in my head, I have to close my eyes and add each detail manually, like I am painting a picture in my head. This sometimes makes it difficult for me to imagine my settings and characters. To get over this problem, I have come up with a fun solution. 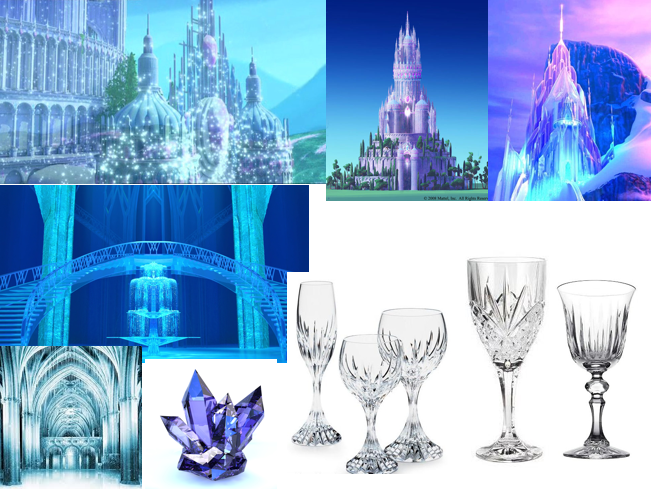 I create a collage of images that are similar to what I am imagining. I usually arrange it in Power Point, so I can look at all of them together. In my current work-in-progress, the Airaloth are primarily inspired by classic light elves, classic mages, and Oriental culture. I wanted the look of their buildings to reflect that. I planned to combine Oriental architecture with glass and other translucent materials to emphasize their focus on light and magic. 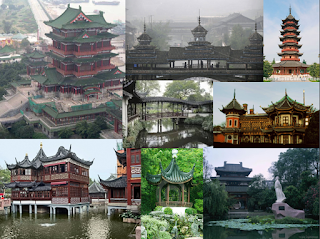 I put together a page of Oriental buildings that I liked, focusing particularly on the swooping roofs, and then I created another page of images that reminded me of glass, crystal, or ice. This way, when I look at these collages, I can get an idea of what the buildings look like without having to try to form them in my head. 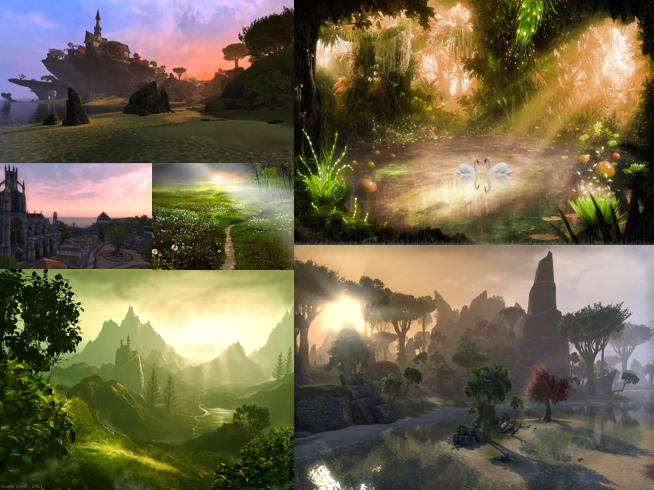 Also, the Airaloth landscape is very traditional fantasy: green, rolling hills, magical forests, stunning water, and majestic, delicate buildings on the horizon. 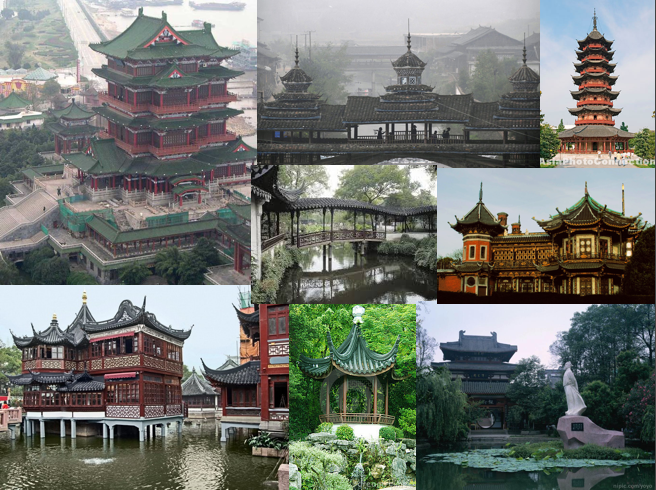 I keep all of these images handy whenever I need to describe the setting as I am writing. The Nyloth are another race in my story, and they are very different from the Airaloth, despite being partially related. They live underground because of a curse that will turn them to ash if they are touched by sunlight. 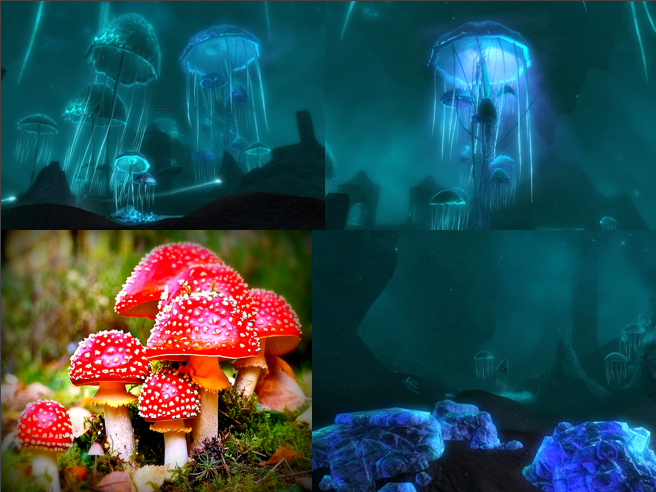 Their homes are built in and around huge mushrooms. They also carve the stone into majestic Gothic structures. Most of these pictures just come from google. Often, when I find inspiration related to one of my races, lands, or characters, I will save it and add it to a page. Races are a bit more difficult to put together, but they can also be a lot of fun. Humans, elves, dwarves. dragons, and others are easy to find, but I do have some original species in my story, so I have to look for more alien-looking images. I find science fiction sources are much better than fantasy for this. Individual characters are the hardest to do. I often can't find good pictures, apart from whatever I have on the race page. 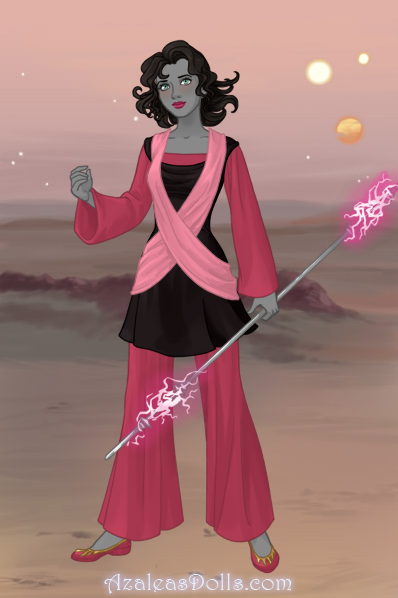 Often, I use online dress-up doll games to help visualize characters. They rarely work perfectly, since fantasy clothes can be so varied, but I often try to imagine what the character would look like if he or she were in a specific universe. 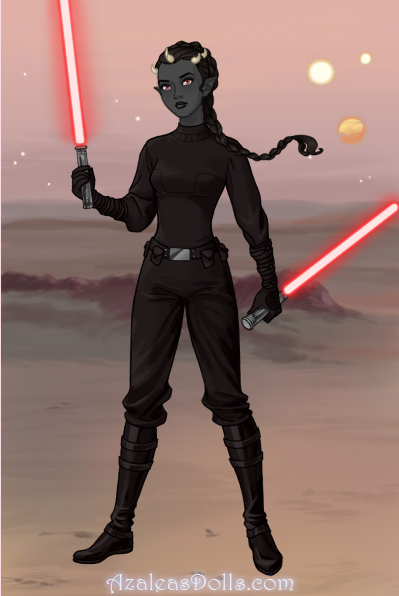 For these pictures, I used the AzaleasDolls Sci-Fi Warrior creator, and chose what they would wear if they were in the Star Wars universe. My main characters, Nathala and Vasi, are Nyloth warriors. Saelina is an Airaloth mage. Often, I can get lost finding or creating visual aids for my writing, and procrastinate what I am actually supposed to be doing: putting words on a page. However, I find these aids to be incredibly useful, not to mention fun. They are also very handy for giving others a glimpse of my story. What do you think? Would you enjoy putting together something like this, or would it be too difficult to find pictures to accurately represent what you are imagining? Do the images in real life ruin the images in your head? Similarly, are book-to-movie adaptations ever disappointing because they don't match up to your own interpretation? I would love to hear your thoughts! I have long since lost the actual links for the images in my collages, unfortunately. 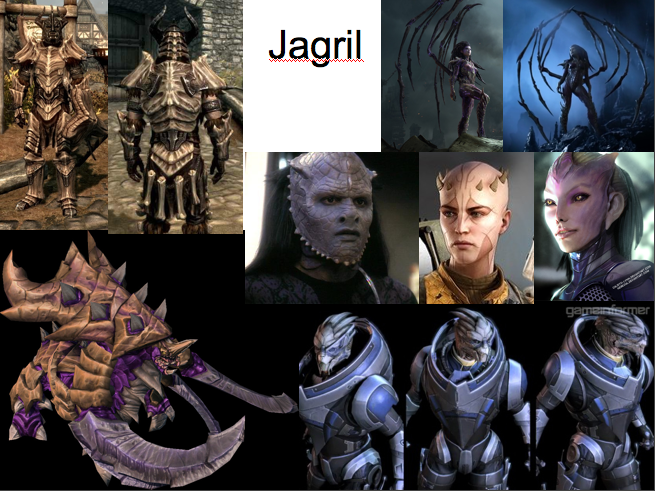 The pictures of Nathala, Vasi, and Saelina were made using the AzaleasDolls Sci-Fi Warrior Creator. I loved this post, Hannah! 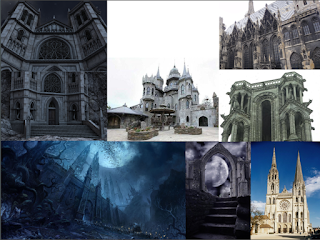 It was fun to see some of the inspiration for settings and characters in your story. I do have one question: did you just google for images, or did you use a specific website? I ask because I'll probably want to do something like this for my next novel. Great post, Hannah! It was fun to get some insights into your world and characters, and this is an awesome idea for helping with visualization - that's something I struggle with as well. Are you on Pinterest? I bet you'd have fun browsing there, it seems like a lot of writers use it for inspiration. I liked the original ways you shared for creating your settings, races, and mostly your characters. Your details have to be much more crisp using these collages to better visualize them! To answer one of your questions--yes, I am usually disappointed when I see characters on screen that conflict with what I have seen in my mind while reading a book. I think what you formulate in your mind is much more interesting! Loved the pictures you used to clarify your strategy, and I know other writers will find your suggestions useful! Thank you for sharing. Great visuals.. Very much enjoy reading your posts. Wow, Hannah! : ) These are amazing. . . I haven't ever thought of visualizing settings or characters this way! I love the way you use your creativity! Thanks! Hannah, what a neat way to see how you think! Fantastic ideas, too! What a neat, neat way to be creative. Thanks for sharing with blog world! My favorite pastime, more so than reading, is computer gaming. A number of those pictures come from games I play! The blue mushrooms come from Skyrim, as do the bone armor pictures under Jagril. Several of the other Jagril pics come from Starcraft 2, including the woman with the bone wings (that's Sarah Kerrigan, one of the main characters). Four of the Rathani pics are from Starcraft 2 as well, depicting the Protoss race. A couple of the Airaloth landscape pics look like they might be from Elder Scrolls Online, though I'm not 100% sure since the pics are a little small. 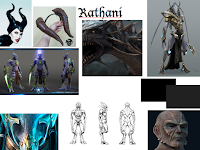 I save pics that are similar to concepts in my story as well, though mine are mostly weapons and armor. I also draw out some of my designs on paper, even though I'm terrible artist.